ACcam.easy for +GF+ Georg Fischer Wirecut EDM machines offers a flexible and complete solution, specifically designed to produce 2 and 4 axis wire-paths easily and quickly, using a wide range of innovative software tools. The AgieCharmilles CUTx0P series, CUTx00mS/Sp series and CUTx00/CUT200C/CU200P (Millennium) series machine technologies are implemented with optimized technological tables. Reduce time-to-market and work hours drastically. 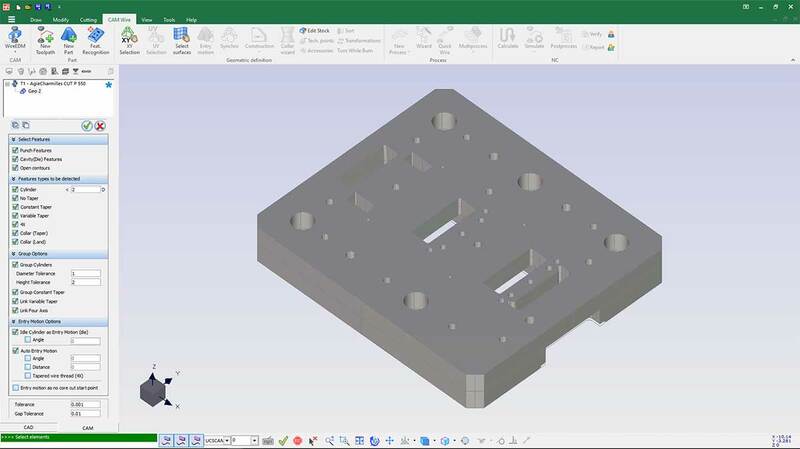 Shorten geometry construction and part definition efforts. 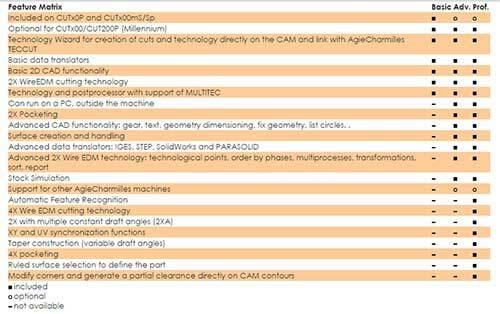 Program your AC Wire-cut EDM machine using the machine specific Wizard and technological databases. 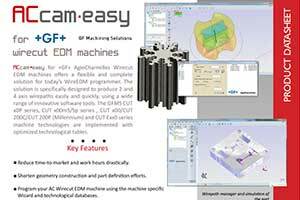 Complete your job easily and safely and let ACcam.easy Wire EDM’s Manager guide you through the whole and logical EDM process. 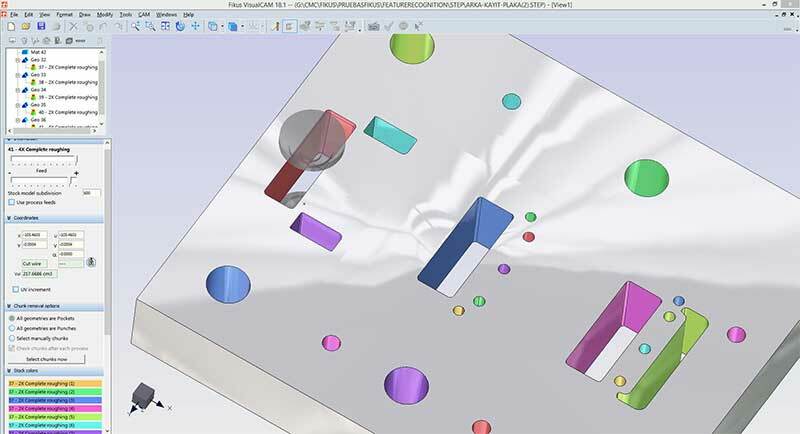 Take advantage of the most advanced wire path algorithms calculation for 2X to 4X cuts. ACcam.easy offers the first commercial solution for 4X no-core-cuts. The CAM manager leads the user through the logical sequential process of the Wire EDM programming, from defining the geometry and creating the part to cut, to the process definition and calculation. The dedicated Wizard for every specific machine, allow you to have your job ready in just seconds, easily and safely. Fikus will generate the machine optimal cutting strategy for your specific machine and job. ACcam.easy can generate your machine programs. Using the dedicated Wizard for your machine you can have your job ready in just seconds, easily and safely. Once you have finished your CAD tasks, you can start to work with the intuitive, easy to use and efficient ACcam.easy CAM solution for wire EDM. You can use ACcam.easy to generate your machine programs. Using the dedicated Wizard for your machine you can have your job ready in just seconds, easily and safely. Just select your base geometry and click on the Wizard icon. Set the parameters for your machine and the target quality and the Wizard will do the rest. The Collar Wizard helps you to generate all the cuts for collar dies according to the machine technology and your requirements. Build the part to cut by selecting one or two contours, either 2D or 3D, or even surfaces. If you select two contours, use the ACcam.easy synchro tool to easily and interactively synchronize them. Select one contour and apply a constant draft angle, a multiple constant draft angle or variable draft angles. 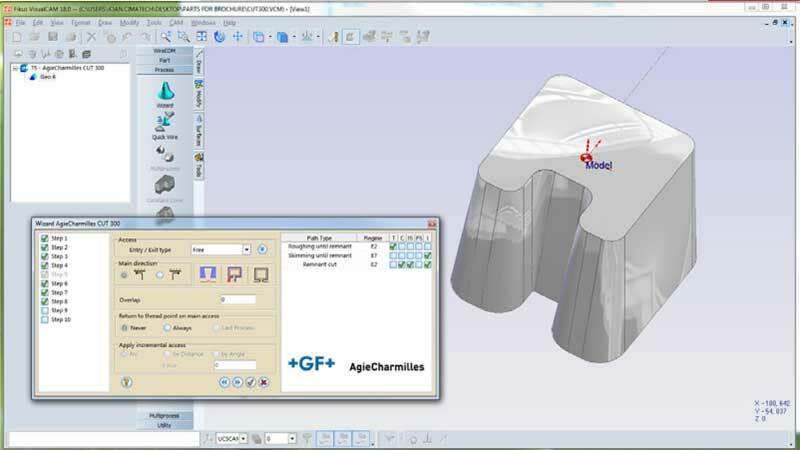 ACcam.easy offers other powerful tools like technological points, possibility to modify corners and generate partial clearance, templates, simulation, verification, reports and many more to make your work faster, safer and easier. Just apply one of the cutting procedures: 2X cut, 4X cut or no-core-cut. Set the parameters and you are ready. Do you need more cuts? You can copy and paste your procedures to apply more cuts. Reorder your procedures by just ‘drag and drop’ or even by type of cut. ACcam.easy is a special version of Metalcam’s Fikus Visualcam developed together with +GF+ AgieCharmilles to be integrated on the CUTx0P/CUTx00mS/Sp Wirecut EDM machines and designed to obtain the best results in other AgieCharmilles’ machines. ACcam.easy Basic Package comes integrated on the CUTx0P/x00mS/Sp controller and is an option for the CUTX00 machines. It can be optionally upgraded to the Advanced or Professional Packages. ACcaam.easy for PC, available only with the Advanced or Professional Packages, can be used to program the CUTx0P/x00mS/Sp and the CUT200/300/400 machine series. Model Matrix Basic Adv. Prof. Feature Matrix Basic Adv. Prof.
Advanced CAD functionality: gear, text, geometry dimensioning, fix geometry, list circles. .